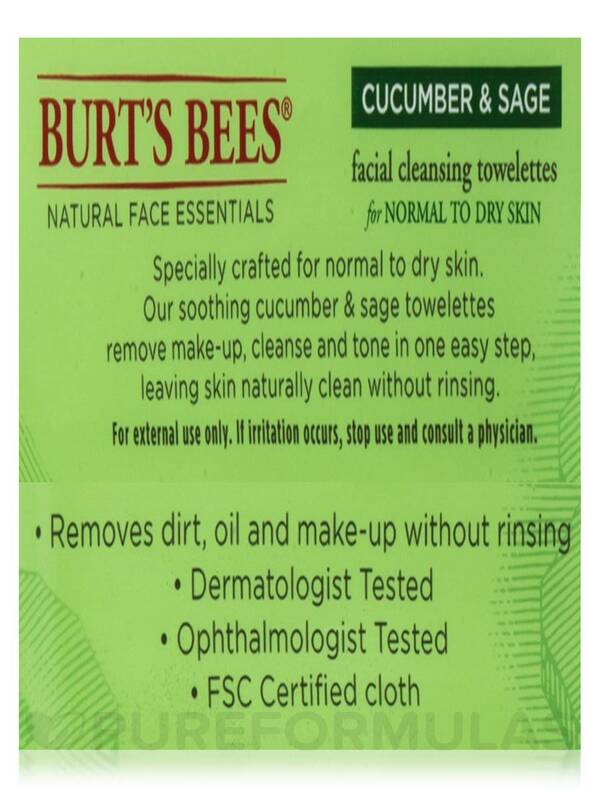 Specially crafted for normal to dry skin. 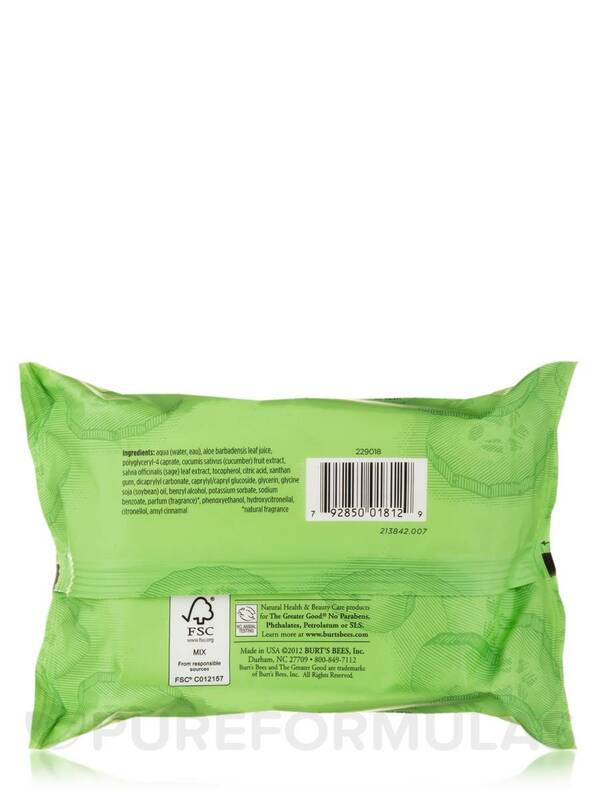 These soothing cucumber and Sage towelettes remove makeup‚ cleanse‚ and tone in one easy step‚ leaving skin naturally clean without the need for rinsing. Aqua (water‚ eau)‚ aloe barbadensis leaf juice‚ polyglyceryl-4 caprate‚ cucumis sativus (cucumber) fruit extract‚ salvia officinalis (sage) leaf extract‚ tocopherol‚ citric acid‚ xanthan gum‚ dicaprylyl carbonate‚ caprylyl/capryl glucoside‚ glycerin‚ glycine soja (soybean) oil‚ benzyl alcohol‚ potassium sorbate‚ sodium benzoate‚ parfum (fragrance)*‚ phenoxyethanol‚ hydroxycitronellal‚ citronellol‚ amyl cinnamal. 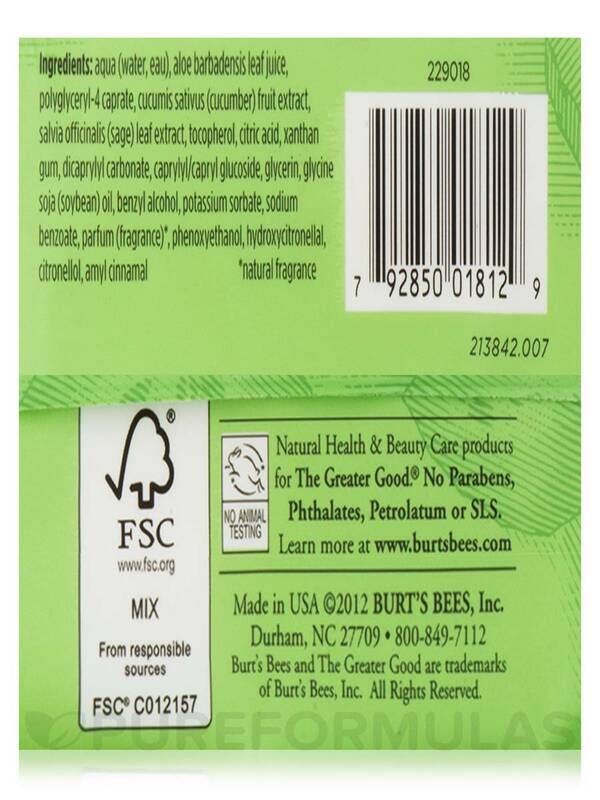 No Animal Testing / Made in USA. No Parabens‚ phthalates‚ petrolatum or SLS. If irritation occurs‚ stop use and consult a physician. Dermatologist tested & cleanses my skin naturally. 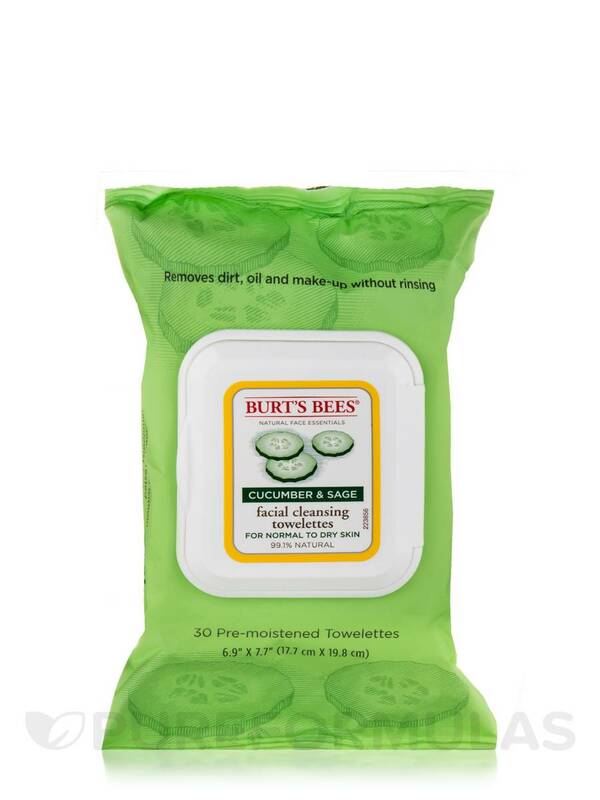 I have eczema, so my skin feels dry & it itches.These Facial Cleansing Towelettes, Cucumber & Sage by Burt's Bees removes dirt & oil without rinsing & it feels soothing & refreshing to my dry face. The cucumber & sage is a light fragrance. 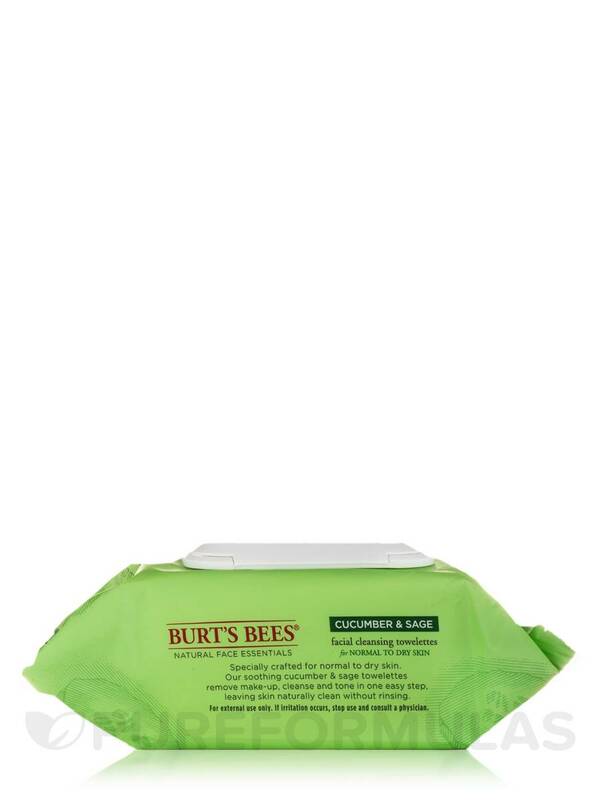 Also, the towelettes are convenient & come in a handy pop-up dispenser. No rinsing necessary, soothing, dermatologist tested, cleanses, refreshes, nice fragrance & comes in a convenient pop-up dispenser. A little expensive for my budget. 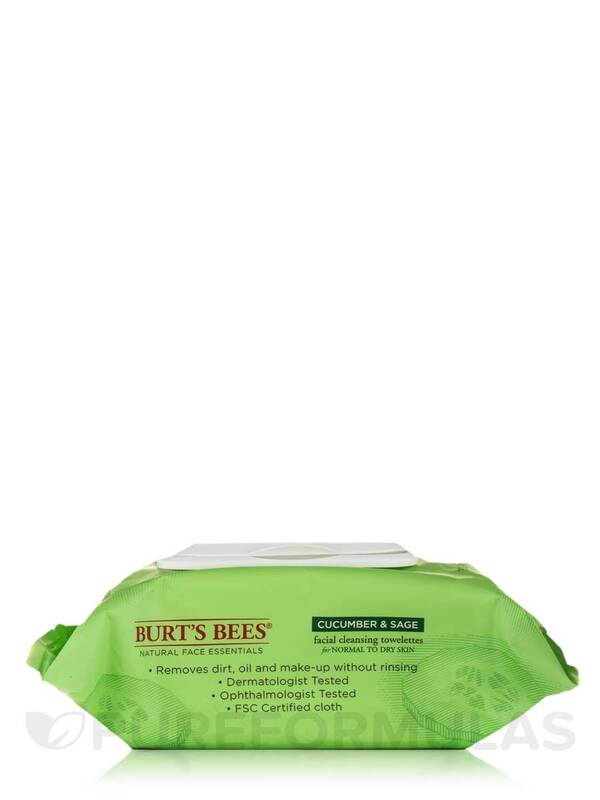 Facial Cleansing Towelettes, Cucumber & Sage by Burt's Bees are just perfect.Good pricing on these and they offer a quality and expected service.